Popular culture might have you believing that New York City is the city that never sleeps, but if you were to read the data on sleeplessness in the United States, you might be surprised. Despite what your Manhattanite friends might lead you to believe, New York City isn’t even in the top ten when it comes to sleep deprived cities. Factoring in raw statistics, the actual number one city lacking sleep is none other than the setting of The Music Man, Gary Indiana. 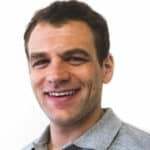 Based on a study taking into account average bedtime and average hours of sleep, over half the population of Gary, Indiana, admitted to getting less than the recommended seven hours of sleep a night. Think about what that means for the overall tiredness of Gary. While we can’t know for sure what’s keeping Gary awake, the hope is that when they do finally hit the pillow, those hours are restful ones. Maybe the ease with which Harold Hill duped this sleepy little town makes a lot more sense. While New York City may not be the most sleep deprived city, it is the one with the latest average bedtime, clocking in at a near-midnight 11:55 PM. Right behind NYC is Miami with an average bed time of 11:54. No matter which one of these cities known for partying you might live in, when you do finally hit the hay, you want to ensure that the hay your hitting is on top of the best mattress for you. Using data provided by Jawbone’s sleep patterns, we were able to study turn-in times around the US in some of America’s most tired cities with most typically turning in, usually between 10:59 & 11:59 PM. Maybe they wouldn’t be so tired if they were doing all they could to get the best night of sleep including finding blackout shades that keep them asleep once they have finally succumbed to sleep. No matter where in our country you live, you’re probably chasing sleep. 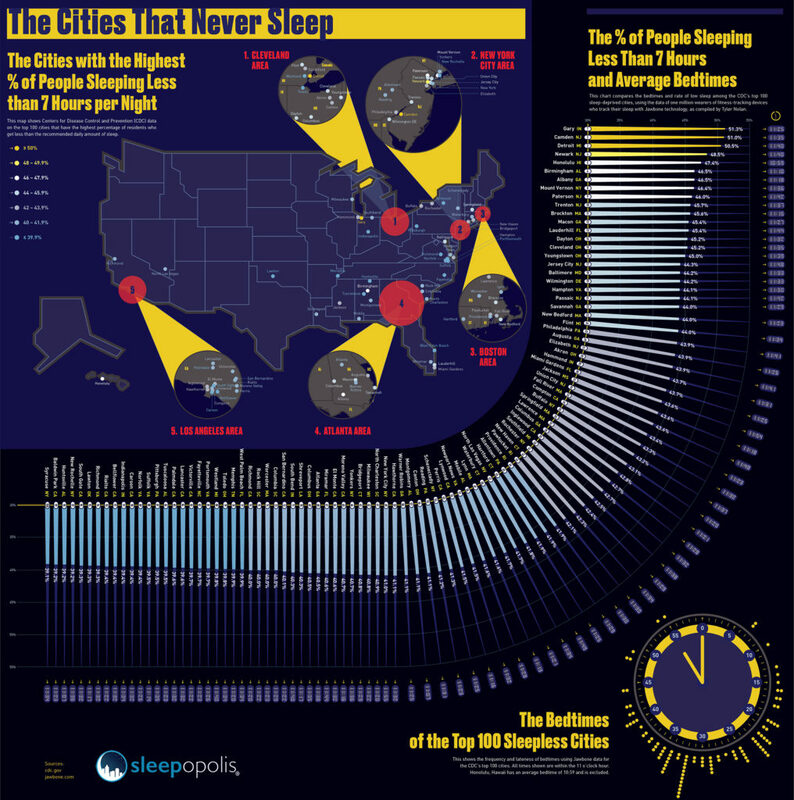 We mapped the cities with the highest proportion of people spending hours without sleep and included the info below. Chart a course for the stars, count sheep, blanket yourself with white noise. Do whatever it takes to get some shut-eye if you live in one of these top 100 most sleep-deprived cities!